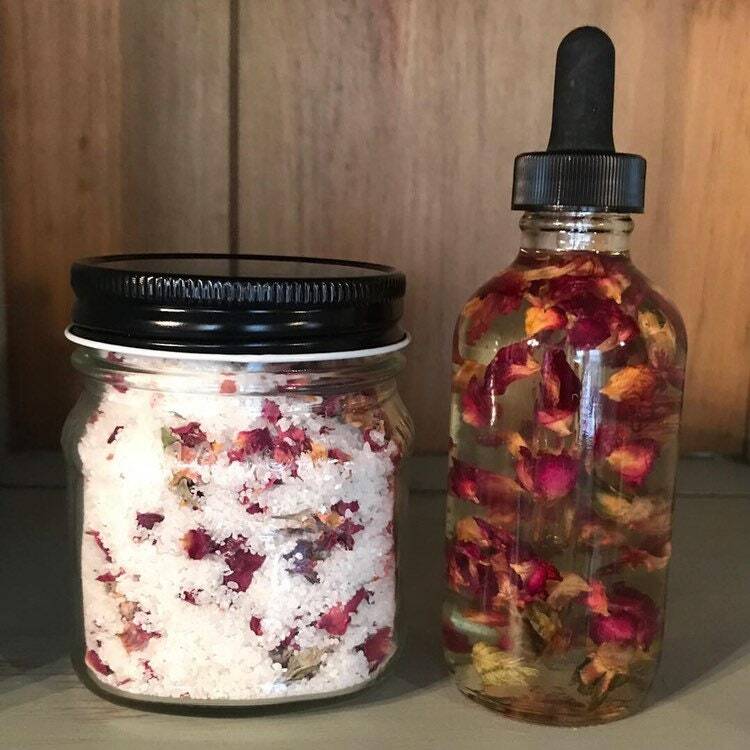 Pamper yourself with this Bath Salt & Oil Set to soak in the Nutrients of the Dead Sea, Velvety Smooth Sensation Of French Sea Salt & Skin Loving Properties of the Organically Grown Roses & Lavender. Essential Oils can be added for more therapeutic abilities. Oil is an infusion of Organically Grown Rose or Lavender Organic Sunflower Seed Oil. 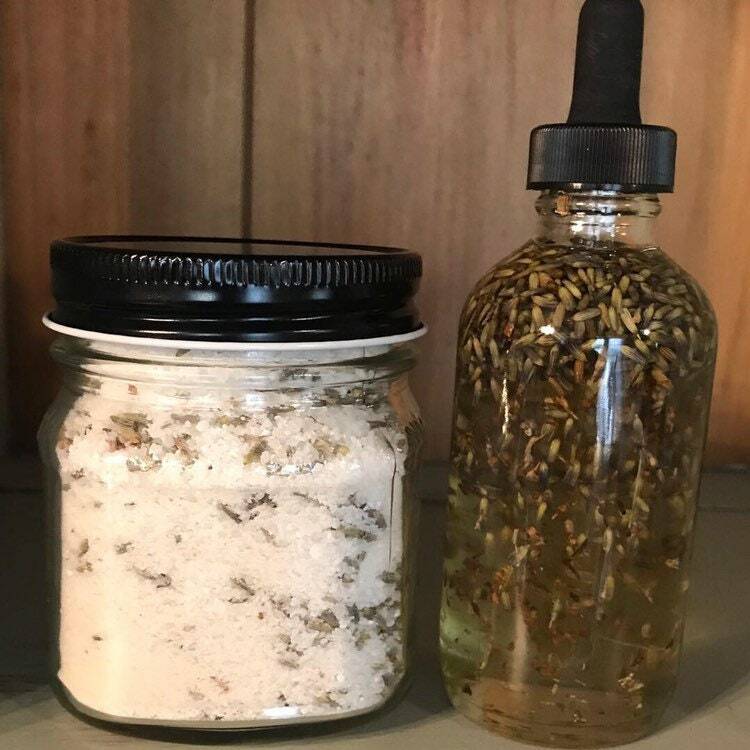 Bath Salts are a blend of Dead Sea Salt, Grey Sea Salt of France & Organically Grown Rose or Lavender.